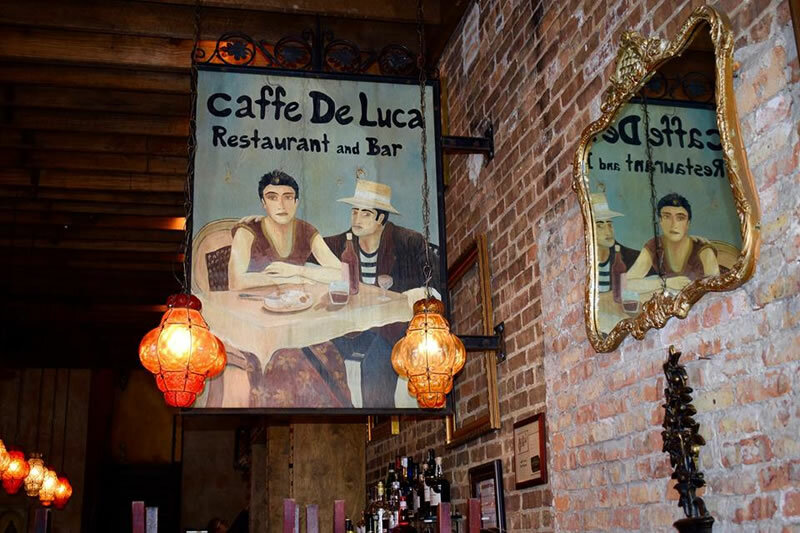 Caffe De Luca exudes Old World charm with it’s rich finishes. You will be delighted by the illusion of sitting in an outdoor caffe, visiting with friends and family. We offer weekly seafood, steak, appetizer, and pasta specials. When the weather permits, the downstairs opens into our sidewalk patio. The first floor evokes the feeling of an outdoor cafe. Italian lamps and belt-operated ceiling fans suspended above the serpentine bar contribute to the festive ambiance. Banquette seating beneath the streetlights provides a comfortable venue for watching the activities at the bar. A staircase with wrought iron rails leads to the second floor, which has a large skylight, suspended Venetian lanterns, an indoor-outdoor fireplace, and a rooftop terrace. This quickly became the perfect space to host a private party or event. On behalf of Art and Michelle Sundry (the De Lucas) we hope you enjoy your visit. Salute!